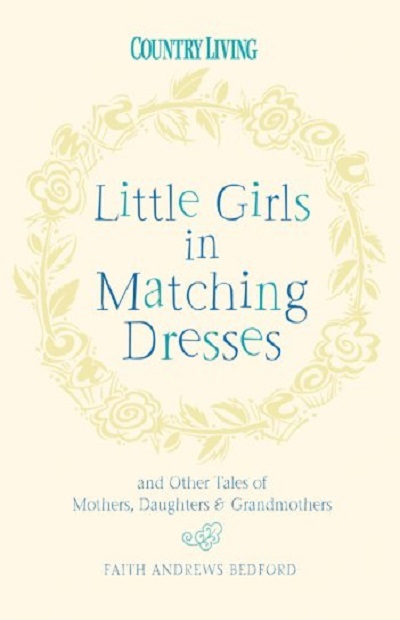 A beautifully packaged celebration of mothers and daughters that will touch the heart—written by former Country Living columnist Faith Andrews Bedford. From the joyous chaos of raising small children to the thoughtful adventure of being a grandmother who “tells the stories,” Andrews Bedford’s charming essays capture motherhood in all its complexities and expressions. Drawing on unforgettable memories from both her Midwestern childhood and her married life in a village near the Blue Ridge Mountains, Faith explores the pleasures of everyday life within the family and the traditions that unite the generations. From her touching recollection of the matching “sister dresses” she and her siblings received every Easter to her uniquely clever method of teaching her kids to write thank you notes, Andrews Bedford lovingly captures the triumphs of being a mom.